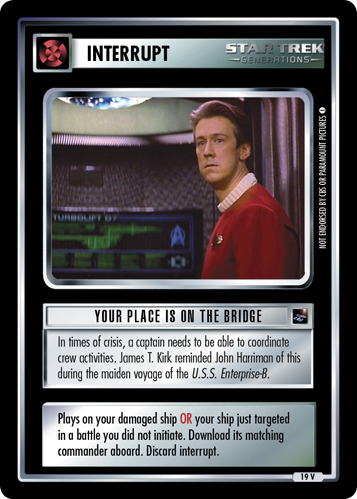 In times of crisis, a captain needs to be able to coordinate crew activities. 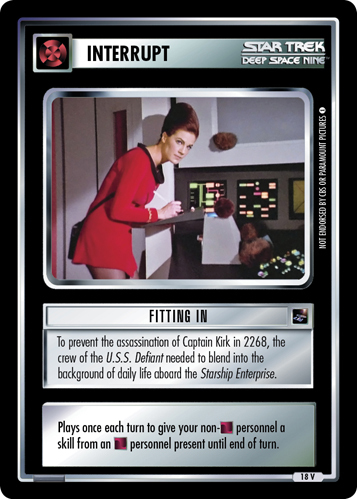 James T. Kirk reminded John Harriman of this during the maiden voyage of the U.S.S. Enterprise-B. 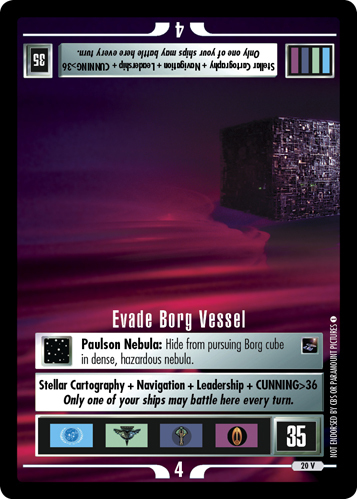 Plays on your damaged ship OR your ship just targeted in a battle you did not initiate. Download its matching commander aboard. Discard interrupt.